3D Motorcycle Blinkers can be replacements for the stock Harley turn signals and can be installed on any chopper, bobber and most custom motorcycles. 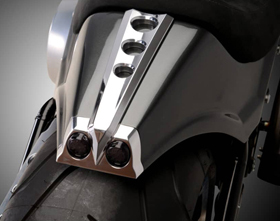 These chopper motorcycle blinkers have pure flowing lines and feature a new innovative design. Housings are available chromed, satined or black. 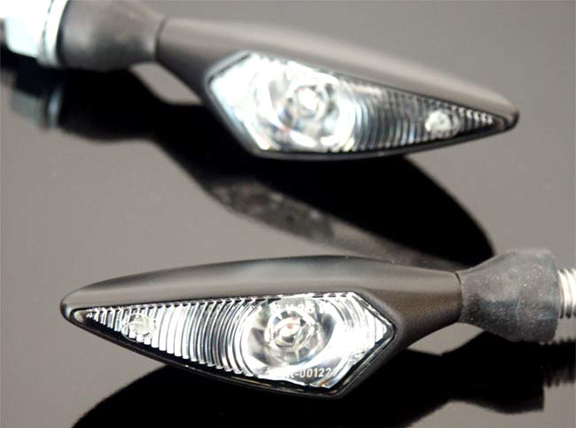 These motorcycle turn signals are very small (2.5″ long and 1/3″ thick at the widest point), but super bright. They feature the brightest and latest style LED lights, brighter than halogen. 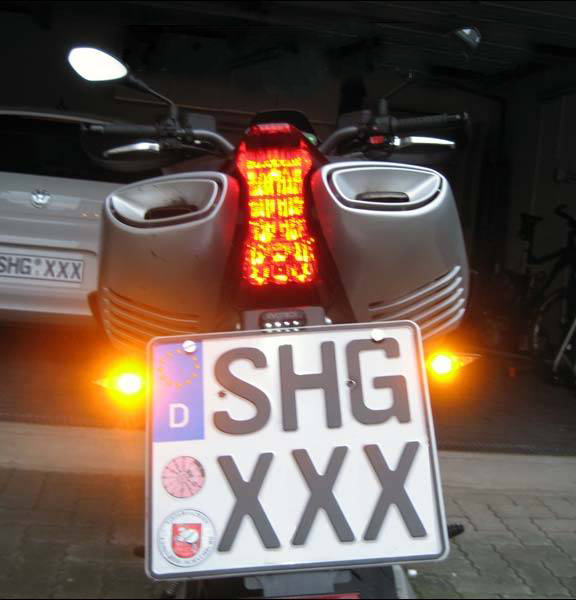 You will definitely be noticed on the road with these LED turn signals! They come with specially designed rubber mounted base, so in case of a crash, the damage will be minimal. These motorcycle blinkers fit in 8mm mounting holes and can be used as front or rear turn signals. Sold in pairs. 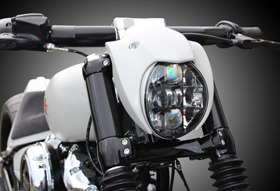 They look great combined with our 3D Custom Motorcycle Headlight. Thank you for your interest in Eurocomponents’ motorcycle blinkers. Yes, our 3D turn signals are CE marked (not DOT approved).